Display your television with this casual contemporary style 42" TV Cart. The cart features six shelves; two centered compartments perfect for video and tv equipment, and two on each side behind a wood-framed glass door. 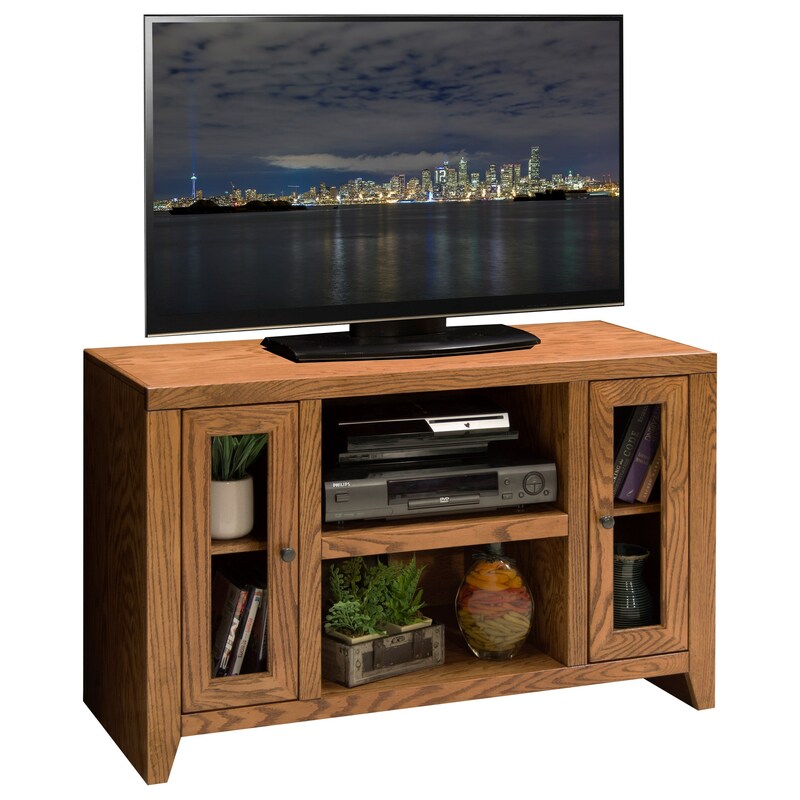 Crafted with solid oak trim and a warm Golden Oak finish, this piece is a great choice for your living room. The City Loft 42 inch TV Cart with Six Shelves by Legends Furniture at EFO Furniture Outlet in the Dunmore, Scranton, Wilkes-Barre, NEPA, Bloomsburg, Pennsylvania area. Product availability may vary. Contact us for the most current availability on this product. Storage Two center shelves. 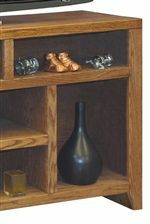 A wood-framed glass door on each side with two shelves behind each. The Urban Loft and City Loft collections feature home entertainment and home office furniture. Fill all the display space available in Urban Loft with media items, decorative accents, family photos, and much, much more. With the TV carts, you can choose from various widths, options with a hutch, or use bookcase piers to create an entire entertainment wall unit. TV stands with electric fireplace inserts are also available, creating a cozy environment with easy installation and little no maintenance. Both collections offer oak construction and clean lines for a fantastic choice to outfit your modern life. In addition, all items are made in the USA. The City Loft collection is a great option if you are looking for Casual furniture in the Dunmore, Scranton, Wilkes-Barre, NEPA, Bloomsburg, Pennsylvania area. Browse other items in the City Loft collection from EFO Furniture Outlet in the Dunmore, Scranton, Wilkes-Barre, NEPA, Bloomsburg, Pennsylvania area.